We will upload the images to a private online gallery where you can select and order prints of all sizes and finishes. Prints are delivered directly to your door. A beautiful handmade, clamshell-style, heirloom quality, presentation box made with Black Pearl Brocade. 11x14 inches, matted 8x10 prints. 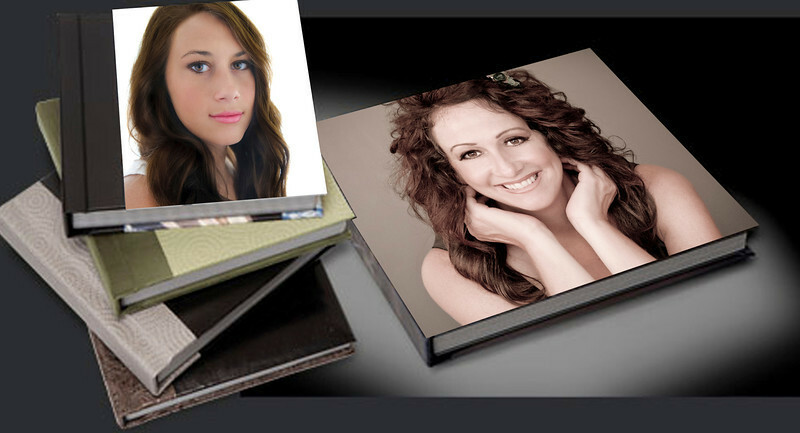 An attractive way to display and share your portraits is in a high-quality 12x12 inch lay-flat leather Studio Portrait Album with full-page spreads. Picture beautiful images of you hanging on your walls. Some typical sizes are shown below for comparison purposes. Fine art canvas gallery wraps and metal prints are available. This unique styling is designed to last a lifetime. 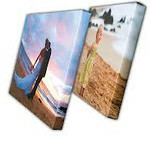 Our canvas mounted portraits give the look and feel of a genuine masterpiece. Truly timeless. Because the image is infused into the metal surface, your images will take on an almost magical luminescence. You can hang and display your Metal Prints with Float Mount Hangers or Stainless Posts. 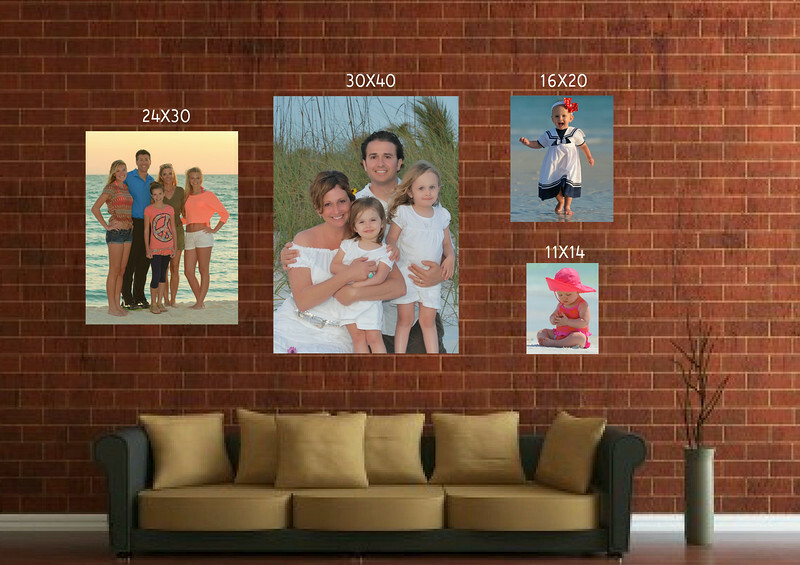 9 of your favorite images displayed in a beautiful large wall print. Canvas Gallery Wrap or Metal Print. 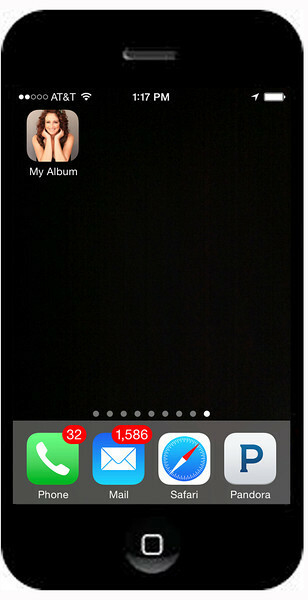 Share your amazing images instantly by sending and sharing your own personal Photo Album App for your Mobile Device. High-Resolution Images with full reprint rights are available. 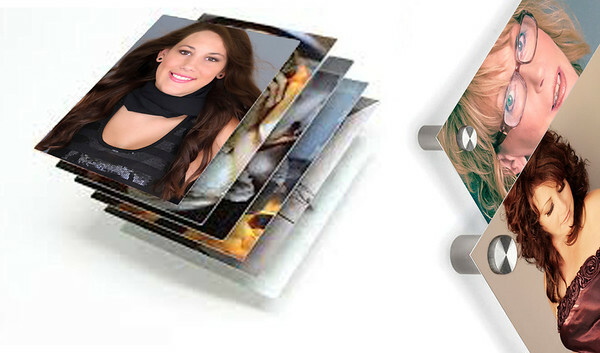 Print collections can include beautiful albums, folio boxes, fine art canvas gallery wraps, metal prints. All collections include digital images, mobile photo album apps, and social media packages. Our collections offer huge savings over a la carte prices. Digital collections include fully retouched and enhanced images at full resolution. These images come with full reprint rights so that you can print them or use them online.